Today I sat down with a friend and mentor of mine and we got talking about… well, hustling. For me as a growing artist I’m learning the fine balance of socializing and hustling. Anybody who has been on this journey with me thus far will know that I’ve been trying to learn my game mad. I’ve built Twitter, Pinterest, Google+, Instagram, Facebook… because that’s the only way to build your network, isn’t it? As artists we’re constantly bombarded with: “Hey artist friend, can you do just this little thing for me. I’ll owe you big time.” Or my favorite: “Hey artist I admire and appreciate, can you come photograph my event for free, I promise I’ll personally introduce you to big names in the community and people you want to know.” Even more, I bet the lot of you have been to a free art show/event where everybody there is having a great time, saying hello to all their friends and wearing their Supreme snap backs like a champion… or maybe you’ve just seen this on Instagram. All of that is fine and dandy, in fact it IS a great way to get to know your fellow starving artists and network with hip doods. It’s even a great way to showcase your art, build a culture and have some fun while doing it. Perhaps these events are indeed critical for a growing culture. But when you’re hosting a free event, when you’re giving your art, time, skill away for free, when you’re every essence and voice speaks of giving things away for free, you’re going to end up doing just that and building a standard that everybody is going to come to expect from you. I recently had an interesting discussion with a friend about her international modeling. She had told me how she just got back from Italy where her and her agent were booking multiple paid gigs a week for a few months straight. When I asked her if she’s been able to keep up the work once she returned back to Vancouver she laughed at me and asked if I was kidding. I’m not sure if it’s just Vancouver, or if it’s the West Coast or North American way, but it seems everybody wants and expects the best service without having to pay for it. Don’t get me wrong. There’s a time and place for everything. I wouldn’t be anywhere close to where I’m at right now if I hadn’t had models or promoters willing to take a chance with me (side note: I’m still far from where I want to be). But since everybody has a camera (not only phone cameras, but a DSLR in the family), a pen and paper, a computer with Illustrator on it, so many traditional employers (ie. companies big and small) are going the “I’m just going to get my friend/mom/brother/bf’s best bud to do it.” I’ve even photographed for Vancouver industrial real estate companies who’ve confessed they usually just take photos of their multi-million dollar big name industrial properties for their listings with their iPhones. I wish I was joking. Perhaps all the difference between professional and amateur is an attitude? My friend and mentor I sat down with today always gives me formulas, and today was no exception. 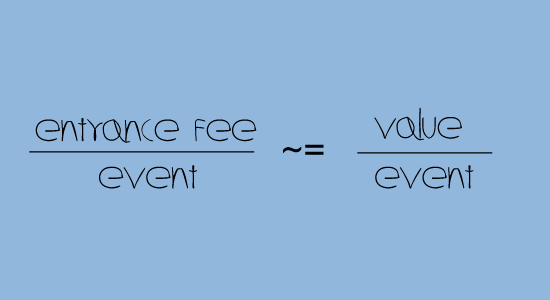 He said the amount you pay to attend an event is proportional to the value in return you get from the event itself. This makes sense to me. It’s similar to the difference between high school and university. One you’re forced to be there against most kids will, the other you’re no longer supported by the government and paying big bucks to attend (hopefully not against your will). Post by Art, Lifestyle, Inspiration with Maria Brophy. How do we gracefully go about this change then, from amateur to professional? How do we draw in the sand a line that says today my service is no longer free? As an artist, I recognize there most certainly is not one hat that fits all. I also recognize that there are certain causes that I want to give my services to, to help them as they try and get some traction. Is it possible to meet an art buyer at a free local art show? Sure, but are you going to make a living out of it? If people are paying $45 to get in to see your art, are they are going to walk out of there with some of your art? Maybe. I am willing to bet which patrons of the arts have the option to indeed walk out of there with your art though, if they do like it and want it on their wall. I am also willing to bet which patrons can barely afford the Pabst they’re drinking. I guess in contemplation, thinking about how London, England has most gallery admissions free, how Paris’s famous and exclusive Salons at the turn of the 20th century were notoriously attended by the wealthy, ultimately there’s a difference between building culture and building profits. Without one, there is no other. Like the gauntlet, one must pass it to surface on the other side the victor. I think Andy Warhol had this down pretty good. One must first build the culture around the name, and then the name will build the wealth itself. Perhaps this is why social media is so popular, it offers the grounds for everybody very cheaply to build that culture. With such a cheap entrance fee, what value are we getting from social media? I’ve talked to friends who are successful professionals and who do get most of their clients through social media, er, Facebook. They get most of their clients through Facebook. I also have, probably un-proportionally so, many friends who spend all day on Facebook just killing time with nothing gained in the end. Makes you kind of wonder what entrance fee we’re paying to be on Facebook, but I guess this does go to show that even at the free events there is a way to make money. This reinforces the fact that one size does not fit all when it comes to marketing, and solidifies the power of taking it whatever way you can. Perhaps through this discussion I have identified that it’s not where you hustle, it’s how you hustle.